CIK (Chairman’s Invitational Trek to Kanchenjunga) was conceived by the Chairman for which multiple treks were organized and 12 smarTians were selected for the Kanchenjunga final trek. 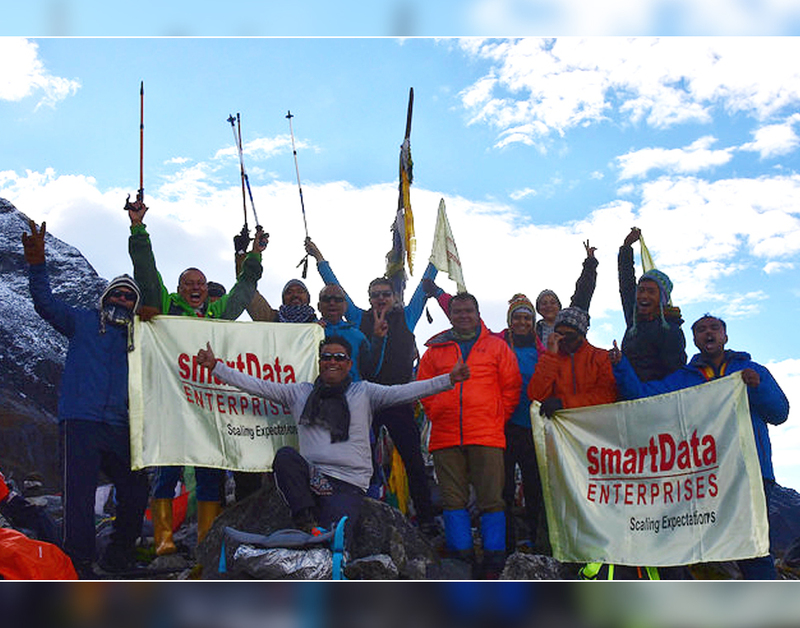 A team of 12 smarTians summited the Kanchenjunga Base Camp led by the Chairmen & CEO. The team scaled Basecamp in a span of 8 days.